Sony has announced that the UK's first TV range with an integrated Freeview HD tuner is hitting the shops this week. The HX, NX and EX range of TVs from Sony all have been given Sony's monolithic design – think 2001: A Space Odyssey – and are said to fit into any living space without proving to be an eye sore. The main kicker for the UK is that these TVs have a Freeview HD tuner in-built. So, you can now get HD content without the need of purchasing an expensive set-top box. Other features of the TVs include their IPTV capabilities. Demand Five and LoveFilm are available straight from the TV set and you can even check your Facebook and Twitter updates via your goggle-box. And if you decide on buying the HX range, then you will be pleased to hear that the TV is 3D-Ready. All you have to do is wait for Sony to pipe out it 3D firmware update to its Blu-ray players and the Sony PS3 and you'll be on your inter-dimensional way. All we need now is for the flagship LX range to come to the UK and we would be very excited indeed. 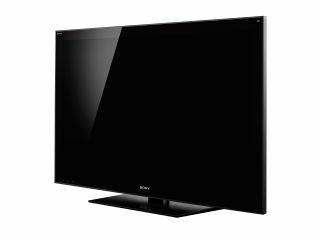 For more information on the HX (Cinematic), NX (Network) and EX (Essential) Bravia range, go to Shop.sonystyle-europe.com for more details.